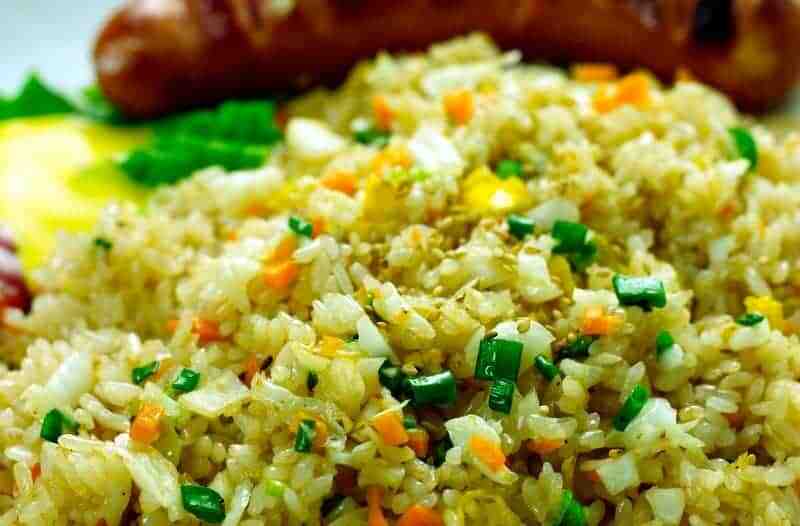 Home » Copycat Restaurant Recipes » 14 th Ave. Cafe Fried Rice – make restaurant type fried rice at home. 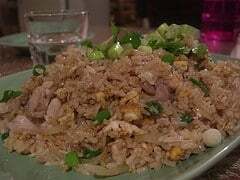 14 th Ave. Cafe Fried Rice – make restaurant type fried rice at home. 14 th Ave. Cafe is located in Portland Oregon. You really can make great tasting fried rice at home. Make restaurant type fried rice at home. Heat a large skillet or wok and add the oil. Add garlic, celery, and bacon and cook, stirring constantly, about 3 minutes. Add ham and eggs; cook, stirring, until lightly browned. Add rice, peas and carrots; toss well to mix thoroughly. Add soy and fish sauces and pepper; stir-fry about 5 minutes. Add green onions; cook, stirring constantly, about 3 minutes longer or until done. Recently I was really, really low on cash and debts were eating me from all sides! So I ate rice at every meal to save on groceries. This was one of my favorite recipes.